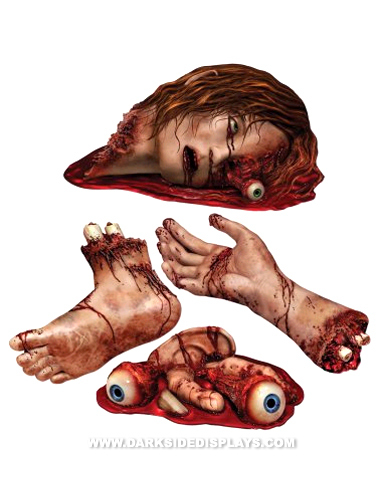 Hang these gruesome body part images around the Halloween party or add some fine imagery to your other macabre display. Body Parts Cut-Out Decoration includes four die-cut decorations that are printed on both sides. Hang with your tape or other adhesive, not included. Body Parts Cut-outs measure 12" - 18." 4 pc.